One of the best pieces of advice I have ever received regarding cleaning and decorating my home is to think simple. This is something I was told many years ago and I think of it often. Have you ever been in someone’s home and you notice that the entire home is covered in decorations from the floor to the ceiling. Now I am not talking about messy homes; I am talking about decorated homes. The home is just so packed full of decorative items that it looks cluttered. This can be a great look in some homes, if it is done right, but it can also be an eyesore. To me, too much stuff is not good. I would rather keep my home simple and that is because I like to think of the advice I was given. A less cluttered home, in my opinion, looks better than a home that is completely full of stuff, even if the stuff is all decorative. By keeping your home decorated in a simple way, you will be able to clean it faster. You will have less stuff to dust and you will not have to sift through mountains of items to find out which ones don’t belong. 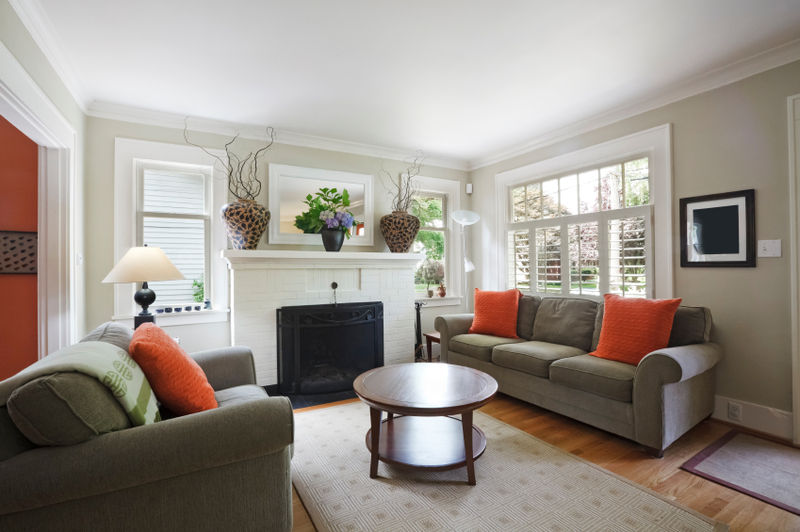 Homes that are free from clutter have a neater appearance too, even if they are not spotless. Having a simple home doesn’t mean that you cannot decorate it though, but it means that you should limit the amount of decorations you place in the rooms in your home.